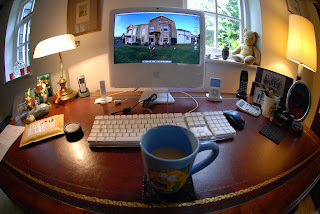 On my radar, there's only two categories of lenses that can be considered fun to me - Fisheye and Tilt shift. All others are serious fun, and no way close to light fun. Firstly, our Nikon D90 already has a fisheye retouch function built-in and can practically turn any normal image to a fisheyed image. So, that's already half the fun there. So, unless you find fun in exaggerated perspective, fisheye lens will be fun in her own ways. Of course, the first motivating step to delve into manual photography should originate from one primary factor - fun. Without which, it will not be sustainable. Imagine turning your AF mode of the Nikon D90 to full manual with my existing Nikkor lenses. Boy, it will be a let down immediately! Why? All because your brain has already accustomed itself to the sharp images produced by these glasses. Any errors you amateurishly make will stick out like a sore thumb in your attempt to focus manually. And yes, it will be a day filled with giant despair. But wait! There's a solution after all! Here it is - First, go get an inferior optical lens to lower your brain's expectation and standards. You decide. Next, the lens you look for should be fun by itself! Example, tilt control. 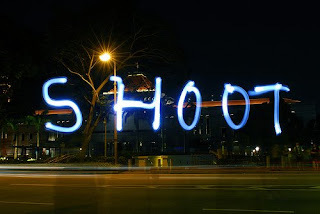 Lastly, turn the shutter release mode of your Nikon D90 to CH and keep shooting (and I mean really shoot a lot!). Ignore how people will look at you. Ignore your dinner for a moment. Ignore your kids for another few moments. Perhaps, it's fun to begin with. But as it turns out, you will soon find that manual focus can lead to a very tiring eye and body, especially after a consecutive 350 shots cycle. Manual photography also dictate manual setting of ISO, and shutter speed. So, don't expect to go into a scene with your mind still thinking about your day or the food you just ate. You will be in a pack of trouble. Manual focusing also mean using a big view finder to achieve easier focus with your naked eye. So, drop that magnifier eye piece that provides magnification at the expense of bigger view area. It's worth it. Lastly, manual photography also implies the manual toggling of the lens aperture size, which basically determine your room for focusing error. Well, that's what I found after shooting manual today, over my TGIF dinner. Nikon Has Created A Monster! It was a breed that the world was caught by surprise in 2008, one that rewrites history as the first DSLR that captures HD videos, together with crispy still shots. The Nikon D90, in my observation, was that "Area-51" secret project that got out of the cat's bag. This specific Nikon design team for the Nikon D90 was reputedly known to consist of the best Nikon can afford, with their work legacy still unsurmountable today in her class. The surgically placed price point, capability, flexibility and value still seats solid in defiance of greater/lesser cameras like the Nikon D5000, Nikon D300s, Canon 50D, Canon 500D, Pentax K-7. It will take Nikon years to project a new breed of DSLR to bring the insatiable Nikon D90 down, an undertaking not recommended in this current weak, fragile economy. Next Stop - Nikon D700 and Above? So, what's next, you say? My verdict - Full frame territory. Or just wait for the Nikon D400 to break the current DX mould. It's just not worth the effort to start the engine on the Nikon D300 series...it's too old school, too dated, in my opinion. Too predictable. Well, I am almost set to go the Nikon D3000 road instead of the full frame road for a simple reason. I don't need killer low-light performance. I have both my Nikon SB-900/SB-400 speedlight to guide me through that death valley...I am cool. Besides, the 1.5x crop factor is beginning to show her tail of advantage, when I need just that extra reach. However, for those pro readers out there, yes, it may well be the only road for you. The DX land is my home now, or until we see a new format on the Nikon horizon. From the consumer point of view, its still anybody's game concurrently. Nikon is good. Nikon D90 is better. Wisdom to appropriate knowledge is best. Perhaps, the Nikon D700x will change all this all over again...let's all wait for Fall 2009. Moving to the next camera launched today, the "easy-peasy, lemon squeezy" Nikon D3000 seems to have a totally different appeal to Nikon D90 owners (at least to me) altogether. The 10.2 MP sensor seems to be derived from the Nikon D60, the friendly $599.95 price tag caters to the current doom-gloom economy, while its petite size appeals as a secondary backup body to carry along. Wait! For that, you still get the CAM1000 AF engine of the Nikon D90! And if your dad choose to play with it, they will be pleasantly surprised to find the intuitive guide mode so fun to use in minutes. Even the shutter count matches Nikon D90's 100,000 cycles durability! The in-camera retouch is another bonus, plus the on-demand grid line display that's also found on the Nikon D90 is there too. How about the stop-motion movie mode to top off the whole deal? What more would you ask for? I think I will be getting this one after all, as my backup camera! From the Nikon D90 perspective, the Nikon D5000 is a stripped down Nikon D90 while the Nikon D300s offering a faster shoot rate and an excellent AF engine than the Nikon D90. 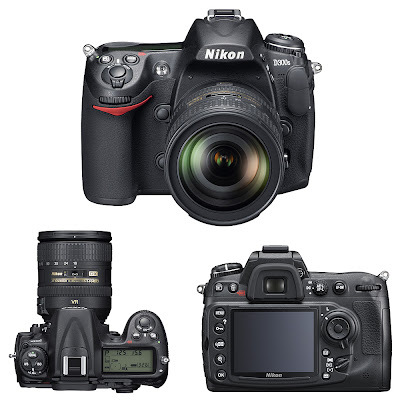 The Nikon D90 camp is on the fence of both new launches. No clear winner, no clear advantage. Spare me the anti dust and anti moisture sealing of the Nikon D3XX series as my Nikon D90 is turning out just fine in light drizzles and sandy beaches so far (it's also ice cream and blackberry tart proof - see previous articles). So, unless you are about to use your camera as a weapon or tool (hammer), the magnesium alloy body is but to me an insurance policy against a drop. Low noise performance is identical to the Nikon D90 too, seeing nothing has really changed on the Nikon D300s sensor or processor. The silver lining? Quieter shooting mode, dual SD/CF memory bay and perhaps stereo sound recording (a turn off if you see what is required to achieve stereo sound recording!) Won't the priced-to-clear Nikon D300 suffice in this case? My take - The Nikon D300 series cameras gotta to get up pretty darn early in the morning to get the hard-earned cash from Nikon D90 owners. Today I declare a special day on my calendar - Manual Focus day. On this day, any photos I take must be taken on full manual mode, regardless. Since manual focus is something not many of us are keen in, you can say most of us are poorly trained to do it well anyway. It actually involves a series of familiarization and even training before you can get away with handling a manual lens or shoot manual. No easy feat as I realized today. You can count it a small miracle when you actually take a tack-sharp image with this technique. 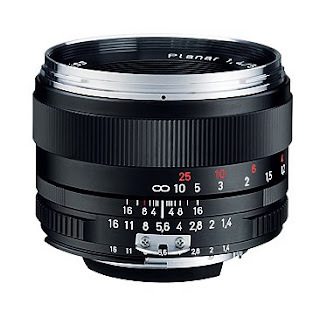 And what better incentives than to do so with the legendary Zeiss 50mm F/1.4 Planar! No, I did not buy one. But as it turns out, focusing soon became a nightmare even for the Zeiss specialist of the store. Out of twenty shots he took, none were proper. When it was my turn to shoot, nothing came out fine on 1/50, 1/60, 1/100 second! Hold on! We were all shooting at F/16! Metering was tuned to Spot metering as the Zeiss lens could not provide any metering information to the camera. Each shot now takes tens of seconds as opposed to split second to shoot. Go on, laugh it out loud! I know its my first step but I am pretty determined to ultimately do this right. Holy Mackerel! The Nikon D300s is Here! Or should I say, boring... what are the 12.3 MP and 720p HD 24fps video recording still doing here? Its basically a Nikon D90 on steroid! For those who wants to start exploring this "new" camera, click [here]. SB-900 off camera on the left angled 45 downward. So, you want a lens that put the MTF50 chart upside down? 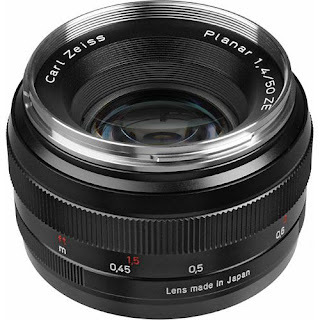 Then, get the Zeiss 50mm then. At the ideal aperture of 4.0, you are churning out a resolution rating of 2319 (center) and 2044.5 (border) from this baby, resolution enough to put full frame sensor leashed on chains! Yeah baby! Groovy! Flower power! Numbers don't lie and its what I go for in evaluating a pre-lens purchase nowadays. And with the MTF50 charts helping along, you can't go very far off the tangent. Avoid lens with ratings below 1950 for center! Notes - O yes, at 24mm, this Nikon D90 kit lens outperform even the Nikkor 18-200mm! So, don't think for a moment its a mediocre glass you've got there. Notes - Surprise, surprise, surprise! This little fellow claims the trophy in achieving the highest resolving power among the whole lot! So, what's cooking? No smoke nor fire....yet. One of the most classic staple food for over one billion mouths in the world - Roti Prata, is also one of the most favorite breakfast option for Singaporeans. Here, we start with a dose of flour, being flown into the air with a pair of skillful hands in a circular motion, expanding the dough into a circular sheet of flour. You then choose what you want with that base - cheese, banana, onion, eggs etc. before it being pan fried to crispy perfection as shown. Curry or simply sugar is available on a separate plate to eat these golden pancakes with. Hmm... time for one tomorrow! 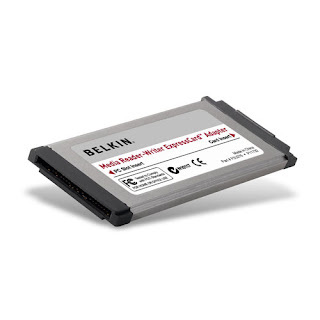 I am so fed up with my newly purchased Belkin expresscard reader that I am asking for a full refund. At least Belkin is professional enough to admit their mistake of even attempting to introduce one into the market. Good, the refund is being processed. What's next? I still need a proper card reader. O yes, Sandisk. I got that instead. And boy, it rocks on my Macbook Pro! Why can't life be simpler? Boasting a transfer speed of 34MB/s, it sure became a breeze to move those big HD movies off the Nikon D90, together with those RAW files now. Guess what? I inserted three cards into the reader - MicroSD, Memory Stick Duo and SD, and all can be read/written concurrently! I give it a five star for both performance and aesthetics for this gadget. Two years warranty. $30. If you don't try, you will never know. And that's what I did today during lunch - try out this monster lens from Sigma. You be the judge, one shot at 150mm and another at 500mm. 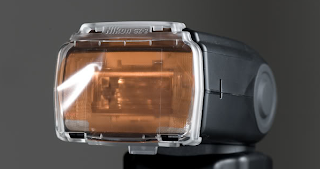 When you use non-Nikkor lens, you basically loose the 3D Matrix Metering II edge of the Nikon D90. Both handheld with OS set to mode II (active). Putting up a national flag in your front porch here would typically mean its again, the time of the year, where the country celebrates her national day. In fact, its the only time of the year where you are allowed to do so, without a visit by the police (no kidding). Six strokes of horse whipping awaits anyone who could not explain themselves well. This would usually be followed by twenty hours of work corrective orders for the victim, together with another twenty for intensive counseling sessions (kidding). Here, a floor standing version is seen erected by someone who probably belongs to the town council. Of the six lenses I possess today, two are FF-ready primes. Prime lens often bears the strong traits of speed, sharpness and good value, and such positive traits are also excellent candidates for video recording on the Nikon D90. Here, I attached a short ant colony migration clip that I chanced upon in one of the park I frequent, but it simply shows the sharpness, clarity of the Nikon D90 movie mode with the Nikkor 35mm F/1.8G glass. Enjoy! Download the full video via veoh player to see video in full native resolution. Its my day to enjoy it with my family over lunch today, and its also the time to pick an interesting place to have something different. Well, the indians have their version of oily nun bread called "Flat bread" while the chinese have their pan-fried spring onion pancakes. They both taste almost the same except that one is eaten with spicy curry while the other with vinegar-filled pork dumplings. It's also a treat to the boys who love each variants of such in the restaurant today. Shot with the Nikkor 60mm F/2.8D. Sharpness is not everything in photography, and rings especially true when it comes to human portraits. As lens and camera technologies evolves, sharper lens tend to expose (especially adults) that facial imperfection one wish to conceal. I prefer a soft blurry shot sometimes, and it tends to be easily overshadowed by what I take higher priority in - facial expression of the subject. To really get the camera to capture what the eyes see, we are sometimes forced to correct the AWB of the Nikon D90, hence resulting in an amazing display of sun's short light spectrum during a sunset. Insert is a shot taken with such an approach. What can you say? It's free, right? Wrong. 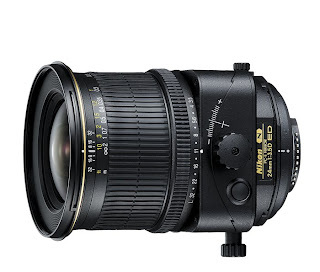 New Nikkor 18-200mm F/3.5-5.6G VR II?? Was it my eyes, or did Nikon Rumors decides to make things a bit funny, just to break some tension among those paralyzed about the two upcoming Nikon DSLR bodies? Is it time to put four ED and Aspherical lens components instead of three onto the current Nikkor 18-200mm and nano coat every lens elements while pricing it at a cool grand? 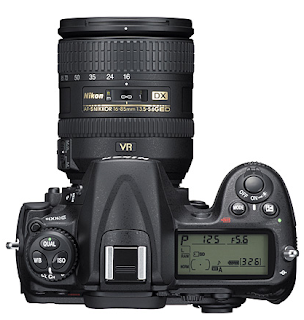 Or maybe, Nikon has perfected her new VR engine, giving users up to 8 stops of stabilizing power! Or just maybe, it's Nikon way of a lame joke. Beats me...I sure was hoping for a new DX lens that has a longer yet more economical reach but its all fine with me. Maybe, the maybes need less rumors and more facts to make it go away for good. My guess is as good as anyone out there. Amidst the snow job of this rumor, if all this is really true after all, I think its one of the most desperate yet pathetic act on the part of Nikon I have seen for a long time. Hey, this whole story would be entirely different if it's a Nikkor 18-200mm F/2.8G VR II, won't it! 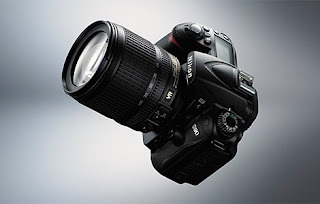 Check today's Nikon Rumors link below for more details. Yes, plan has to be made for this upcoming work trip, and yes, its all again done on Google Maps. In fact, I have been a travel planner for others who value my interest to form up their trips all via this wonderful web tool. As said, this will be those one week short trip thing again, and so, too much planning is not advisable. I anticipate only a day max to really be able to go round and shoot, so like my Kuala Lumpur trip, should generate about 250-300 shots for this trip. Next, comes the lens selection process. Outlook wise, it looks rather similar to a small KL, with links to both slums and high rises. So we are talking about cityscape sort of environment. 50mm is a bit too close for comfort in my perspective so probably a 35mm will have to do. High speed glass is critical as I do not think my Nikon Speedlight SB-900 will go with me on this trip. Plus, it's just too eye-catching carrying the whole camera/flash assembly unless that's my sole intention. Insurance is a must for this trip as anything you won't expect to happen will probably happen there...O yes, blackRapid will accompany me for this upcoming trip (could not find it for my last trip) to facilitate fast shoot and disappear approach. Just across the last one month, I have utilized four of my six lens to tackle the various sites I visited, and am finally seeing some benefits of owning the basic six lens. In total, since December (when I began using my Nikon D90), I have up the monthly shoot pace of approximately a thousand shots to approximately 1200 per averaged month, clocking at 50 shots shy of 9000 on my Nikon D90 today. There are just shots I took that will not be possible without using another lens. I think this beast is finally being warmed up at 10,000 actuation, together with the owner to do more shoot! I am now simply toying with the idea of either using my budget to cover the remaining optical range I lack - 10mm to 18mm and 400mm and beyond or go get the soon-to-be-launched Nikon D300s. 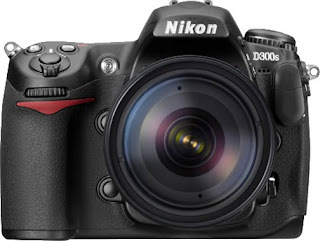 Or simply grab the Nikon D3000 together with a wide Nikkor 10-24mm and call it a day. Its a tough decision, but somebody has to do it! Run, climb, crawl and repeat them all over again. Douglas is slowly growing up to embrace physical training and fun into his daily routine. Of course, he has not been asked to do a 5-mile jog yet, nor a 1.2km swim in the pool. But he's no softie. Here's an instance where he bit some sand on the sand pit, before continuing his cardiovascular set next. 800m farlac is next for the next 30 minutes after. No pain, no gain. PS Just kidding. For the record, he really did trip on a sand pit before this shot was taken. We would imagine that the ocean breeze is both welcoming to our lungs and state of mind, while totally unaware of her potential power to also damage our electronic equipment if they are exposed for a long period of time amidst the corrosive salt air. Hence, it's my usual routine to vent the camera system after a visit to the coast, in an air-conditioned room before storing them into the electric dry cabinet. Just look at how the coastal air has corroded even the aluminum railings of the coastal park and you would know what I would like to convey here. Nikkor 35mm F/1.8G half facing the beautiful sunset glow of a beautiful, sunny day. Its one of those moments where Devon decides to climb behind my back and ride the "dinosaur". And since I was cleaning my Nikon D90 assembly then, I decided to raise it into the air facing us to capture that moment. I thought it came out alright...Nikkor 35mm F/1.8G. Having a water heater in each toilet means needing to routinely replace one when it breaks. And it can be a real hassle if the new one is not a direct replacement model. How many of you actually keep redundant water heater at home? I don't as they break down only after four to five years. And this is what I have done today DIY style to kill some time. It's great to do this every now and then, while rewarding yourself with a few hundred bucks savings off labour charges. And the whole process took me over two hours (this is not my profession, remember?). Just in case if you are wondering where I got the new heater unit, it's any of the super mart located in the North South highway of Malaysia. For a mere $70, you can readily get a proper make from Panasonic. All in an day's work! Exceptionally rewarding to take a shower with it after a sweaty installation. Shot with my favorite micro lens - Nikkor 60mm F/2.8D, of the internal assembly of the new water heater. Very colorful indeed! In my routine review of the Nikkor family of lens, together with what I have been told by several friends, an identical lens (e.g. 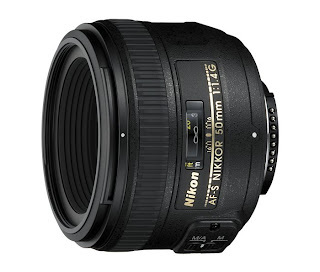 Nikkor 50mm F/1.4G) fixed on the DX body out resolves an image compared to it being used on an FX body! This is verified by typically found MTF50 charts, in both center and corner resolution. It is also said that the full frame matrix has a lower efficiency rating compared to the DX matrix. An interesting read was found to support my findings [here] for this particular example. Well, this small discovery seems to give DX body owners one more reason to stay put in the DX camp after all. 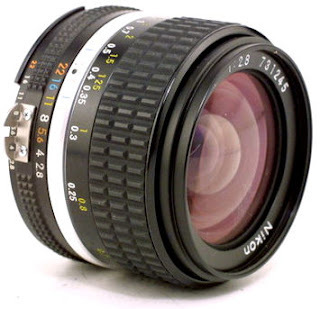 I just hope all those who has placed order for their Nikkor 35mm F/1.8G has received them with the recent worldwide replenishment of this severely backordered glass. It sure is a joy to shoot with one, every now and then, with her lens characteristics being identified as sharpest among many other top Nikkor lens. Here, we have a maturing lizard being photographed this morning in my exercise routine...as crisp as it can go I would say! For the last thirty odd years, I have the privilege of both siting and driving a Mercedes Benz since I was three years old, and I must say the brand, for the last twenty years, has far superseded the quality of make. And this legacy of unreliable electronics and nagging sophistication has continued this day onto the latest iteration of the new S-class sedan model. Dashboard blank-out, power window failure, wing-mirror malfunction seems to plague the driver throughout her first year of use, not to mention continuous nagging of loss of 0.1 PSI on the front right wheel, service type B in the next 100 km. The list is as long as the price tag in cents. But still, many swear by this car maker, all because there's no other better brand? Shot with the Nikkor 35mm F/1.8G. For those of you who has been saving, you know its coming. For up-graders, this may be the DX camera to go for. For folks looking for backup, this may well become your primary camera to shoot with. For those staying put, don't sweat it. There won't be any expected ground breaking capabilities in this upcoming launch. Let's all wait and see its unveiling story line next week...I am personally quite keen to see what this is all about. Personal Record - 100 Posts A Month! Say whatever you want, that I am crazy or I am actually suffering from mental stress, I have broken a personal record of posts per month for July! Blame it on my fanatical, sadistic NCOs who shaped us in the 10-month insane military "carnival", blame it on hellish mindset required to ascend K2, I just couldn't care less. My walk with the boys brought us to a field of potted orchids yesterday and its indeed a beauty to see them in their full blown splendor. Just another point and shoot moment I guess. And if my memory serves me right, there is just about 15,000 types of orchid in the world! How is that possible? BTW, Its also the national flower of Singapore! Being the second boy in the family, they often learn much faster from the eldest, and master the skill of articulation at a much earlier age too. He is much feistier, playful, daring and does not fear expressing himself. Sometimes, when you look at them, you know that they are deep in their thoughts, based on their expression. Some say 100,000 neurons are formed daily in their brain at the age of just three! That's some serious ability to think in that small brain of his! In a bid to attract more visitors, much of Singapore is undergoing radical transformation, from shopping to the weird water-sprouting squids. Stopping the shutter down to 1/4000 seconds over them does create some special effects off them! 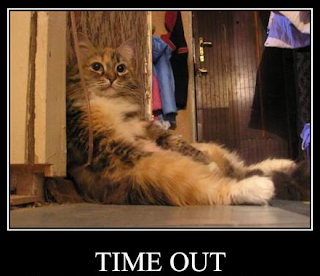 Just found out there's problem on Google blogspot preventing me to perform any posting. O well, here's a real break for me! Another freebie day on the world wide web, and this one revolves around the Nikon Capture NX 2, which I quietly got some weeks back. I have not got the time to seriously look at the features of this software, but hope this [site] can help accelerate my learning to use it. Out of a sudden national initiative to contain the outbreak of the flu pandemic, we begin to see a rather old icon reappearing on almost every public square. A little recall seem to identify these orange friend in an old courtesy campaign some twenty years ago when social grace is almost non existent on the island. Well, at least, even the government is consciously showing their cost cutting mindset to the public, in reusing what's once familiar. Shot with the Nikkor 18-200mm lens. 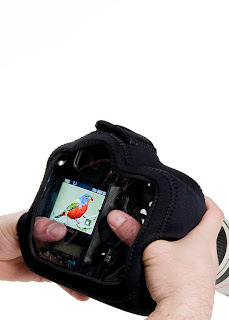 A fairly new product that I am considering when I travel with my Nikon D90 for the next few months. One - it lowers the profile of my camera to the public eye (not that it's that much like a D3). Two - it repels the elements more assuringly. 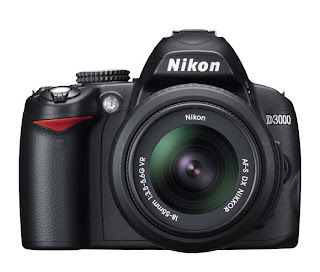 Three - It can accommodate the entire Nikon D90 with battery grip. But I wonder where the holding straps should go? Lens coat is available at $39.99 [here]. Side Track #8 - Eclipse of the Sun Shots? The last one I saw was back in 1999 when I was working in London. I can still remember that all of us stopped working that few hours while viewing it via a bucket full of water! Ah...the good old days! Any of you manage to catch it with your camera? I just came across this site that may well be the best way to show off your image portfolio to anyone. 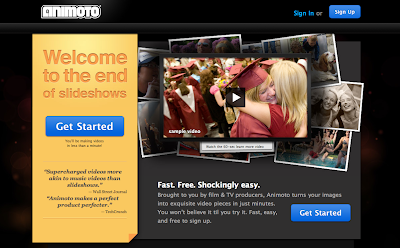 Its called Animoto. And it rocks! Check it out [here]. A flash is still a flash when it comes to her primary role, spreading an even, center-weighted, or standard beam of white light to anything in her path when fired. I found both the use of the filter pack (TN-A1) or direct flashing, having an equal effect of whitening the whole scene up. That is far from ideal when our intention is still to retain the orangey warm ambience when the shot is taken. Hence, we are faced with two options - shoot on a tripod without a flash or shoot at WB above 7000K, with a flash. I often choose the latter while manually zooming in my strobe to 200mm. This experiment pleasantly resulted in my subject being lighted up in a modest array of orange tint while the background's incandescent ambience is wonderfully preserved. I don't really like white light when shooting any night indoor scene unless I am in a hospital. Just thought this can come in handy at some point in time. 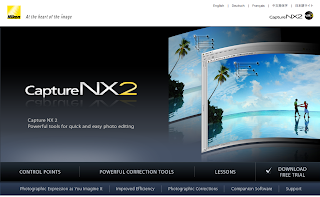 Some of you may want to know what drives this blog and the editor to babble on for almost fore-ever on the Nikon D90. Did Nikon pay me a single dime to write about it? How I hope so! Is Nikon D90 lab funded by some blokes with a deep pocket? How can it be so, with such unprofessional content and layout! Well, its driven by my passion to excel and continuously improve with photography. Nothing else. And with the whole bags of IT gadgets I own, I can practically blog while in a country club, in a hotel room anyway in the world or just waiting for my late clients to turn up 24/7. So, its like having a snack, to write to all. It's fun! So fun that its indescribable! Its a fusion of my passion, my work, hobby, life into one seamless fabric every second! But, of course, at least, theses articles are what comes from the deep recess of my thought pattern about the ground-breaking Nikon D90. And hope has helped every readers towards achieving something out of this so called hobby. It must be over ten thousand square feet in area and looks to contain more pictures and photos than an art gallery! Here, you mostly find stuff for sale, together with an artificial "freezer" room to get buyers to even try on their winter range of apparels. Surprisingly, almost everything your eyes can see within the store are for sale, including a ten-foot tall wood branch-assembled wooden horse and other artistic work. From the photographic perspective of things, I must say its one of the more photographer-centric place one can go once in a while. While shooting today around the island, I notice my first speck of dust on my Nikon D90 viewfinder pentaprism assembly. Its so annoyingly distracting that ultimately got me to stop my shoot altogether and called it a day. The first few attempts to clean the sensor ultrasonically confirmed its not the sensor but something else. I was doing a shoot at the National Geographic flagship store in Asia just to pass my time while thumbing furiously on my Blackberry on some pending work issues despite my off-day status. 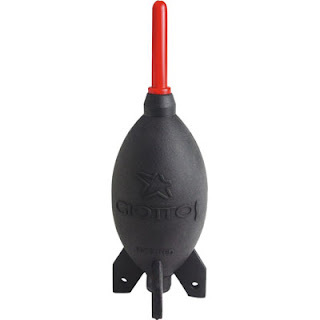 Then I recalled a friend's recommendation to get a Giottos Rocket instead of driving down to the Nikon Service Center for such minute issue! (Used to do that) And so I did. Wow! So powerful, so cheap and so convenient. One of the best buy I made for a long time! Beats cleaning your camera with a anti-static fabric anytime. For those money-laden, restless souls out there, I agree its about time Nikon show us a new definition of imperialism. And I sure hope, in the bottom of my heart, that this new pro-sumer Nikon D300s will be set to break some new grounds (and not just rewrite them). I am just clinging to that last speck of hope that the current 1005-pixel RGB sensor will be upgraded on the Nikon D300s, along with faster shutter speed, better noise performance (like those found in the D700/D3) and even stronger weather sealing. I am not exactly crazy on the pixel race but focus rather on low noise performance need. As to whether video recording is made available, its secondary to me. I would rather have the new "L" firmware version incorporated into this new camera, in a more compact body (than the current D300 dimension). After all, isn't miniaturization part of most product development roadmap? Prerequisites on Manual Focus Technique - Practice on Nikon D90 Now! Perhaps we are a pampered lot, and has never bothered with anything manual. But in pursuit of a slightly different perspective of photography, I think manual focus can be an entirely new dimension altogether. So, I will attempt to shoot manual for the next 100 shots on my Nikon D90 and see how easy or difficult it will turn out to be! Is it after all, really more fulfilling, as some claim to experience? In addition, you can also refer to my previous article about manual focus [here]. Either its really an unusual week to begin with or all our clients have just collaborated to reach us all on the last two days! We are just swamped with new project charters, requirements, new contracts that I could hardly breathe these last few days, save sleeping. The trip to India has been thankfully moved to second week of August and another trip has been planned to the bomb-blasted Indonesia thereafter. I guess there's a season for everything. These two upcoming trips will be made with my Nikon D90 of course. Meanwhile, chill out, recap and enjoy the usual shooting sessions we all need once in a while, and hopefully, we have more to share to all very soon. So, you are eager to own your first Zeiss lens with the Nikon D90? And wonder how it will be like. Let's call this a preliminary, prior to me actually getting it and shooting with it. But first, there are a few huddles we need to cross. Living in the age of autofocus, Nikon D90 owners are only forced to manual focus under video mode or specific image shooting moments where hunting is inevitable (e.g. shooting through a fence), and my experience tells me its not exactly a walk in the park. A lot of practice is recommended when you get that Zeiss glass. Well, I am not too worried about this if I am doing it right, that is! The shallow DOF of using a big aperture can ruin every shot you take in an amateurish hands. Again, tons of practice is advised. It won't be that hunky-dory point and shoot situation anymore, as you attempt to hunt down that subject you wish to take manually. Imagine attempting to perform the AF-S or AF-C mode with your hands! But on the bright side of things, you will also no longer be subjected to the camera decision to allow shutter release. 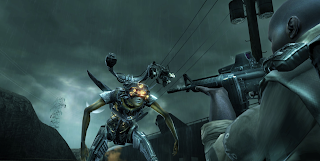 It will fire at your command every shot! 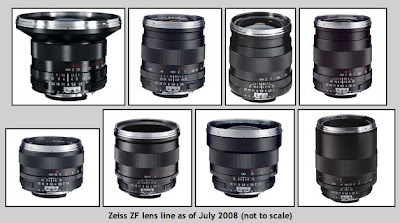 At slightly a higher premium for only some model of the Zeiss family (e.g. Zeiss 50mm F/1.4), this can ultimately affect your decision on actually using them at all! If you ask me, I am personally looking only at the 50mm Zeiss lens at this point in time (to replace my Nikon 50mm F/1.8D). I am not sure how many of you have already hit the glass ceiling of using one Speedlight in photography, but I am being confronted with an increasing number of scenes that hinted for multiple strobes to be used to nail the scene. It's usually one of those indoor group photos taken at night, where the available light is often weak and tricky to the Nikon D90's AWB. This is where I will recommend a more aggressive approach to dealing with the ideal white balance, by grabbing the belt buckle of temperature kelvin manually. With multiple, small, warm light sources littering the boundary of the whole dining area, the central area is totally devoid of good available lights, hence fooling the camera's i-TTL to fire full with cold white diffused beams on each default shot (see above initial shot). This looks bad and time is running short! Without a moment to lose, I pulled the WB away from "A" to "K" and stick "8330" in the Nikon D90 to bring back my non-existent warm light. It worked! The whites faded away and the whole scene came back to life. Being in every family occasions where many people are involved, I would usually switched over to the Video mode of the Nikon D90, mount it on my tripod and start recording every laughter, screams, conversation that ever happened on a 18mm angled lens. This way, I am free to do what I want, without missing too much that day. But, videographer be warned! The Nikon D90 is not designed to take extended video even if you want it to. It will simply shut down when it overheats (or encountered a full buffer), regardless of how much space is still available on your SD card. Time and again, I have to break a 30 minutes video shoot into three video segments. 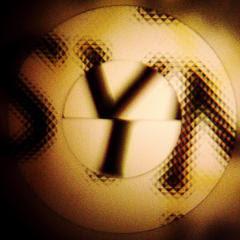 The first being a full twenty minutes (on DVD quality mode), the next for five minutes and the last for around three minutes, before you are forced to take a ten-minutes break. It's one of those lemon purchase I had once in a very blue moon - Belkin Multimedia Express 34 Reader (when I am in a hurry). Now, how many of you still uses a 1GB SD card for your digital gadget nowadays? Comically, that's about the biggest capacity of SD card this device can support! Talking about living in 2009! My smallest SD card on my Nokia E51 is already 8GB. Well, I have created a case with Belkin direct. Let's hope this does not turn out to be a circus. 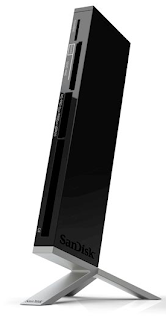 Get a Sandisk equivalent. It's significantly more advanced. SOS! Nikon Speedlight Shutting Away My Background! So, to overcome this problem and pull some details back from the background again, I decided to stop down my flash shutter speed to 1/15 second on the Nikon D90 (Menu E1) before retaking my subject. Well, at least, I am beginning to see something back from the dead. Interesting catch for the week! Every superman has his day! And when it comes to his birthday, with tons of cakes, candies and toys before his eyes, its alright to see him drool with joy. However, on any other days, he will still wear his white cloak with a more serious attitude to catch baddies and report violations committed by his siblings. As history is being recorded, the Japanese force never did invade Singapore from where the British thought they would - South. And the huge artillery howitzers erected preemptively along the south-facing beaches serve only as a reminder today, of a war that never really started. The English surrender was swift against the bicycle-equipped Japanese infantry that came from the North. Not a single round was fired from those south-facing machine guns or howitzers. Well, at least from the bright side of things, some of them are beautifully preserved as a national monument today for all. Nikkor 18-200mm lens with off-camera SB-900 on the left of camera. Its a treat when you see them smile, a little token and means that they use to show their appreciation to the love you shower upon them. Little Devon is just over a year old and he grins all the time. In a way, he's trouble free, baggage free, even from all of the world's concern over the fragile economy. I want my milk and I don't care what will happen tomorrow! And there's where photo taking also can become a rewarding experience too. Once in a while, your mind wanders into the artistic realm of photography and you decide to set things up into a nice little scene before depressing the trigger. Like with a chair or something...and voila! And an interesting scene soon emerged. Just a bit of dining fun I had this evening. Again, shot with my Nikon 18-200mm lens. Frankly, I am beginning to like this lens.